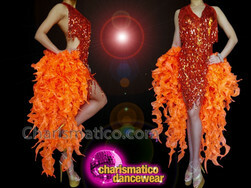 This awesome and attractive knee length blue dress in a shiny material, preferably sequin material, is so bright and vibrant. 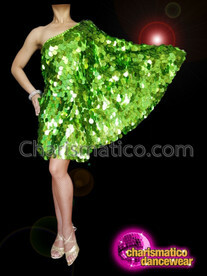 The glitter in the dress is balanced by the fur and floral pattern along the edges of the chiffon trails in the back. 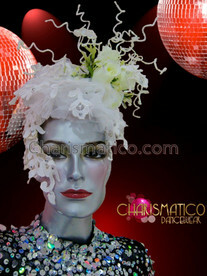 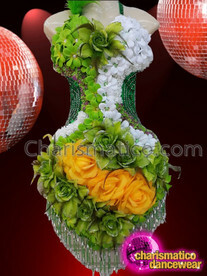 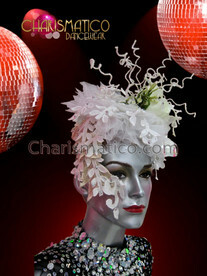 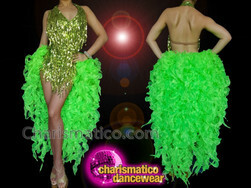 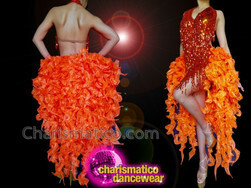 This is a typical party dance dress that is just right to set the mood for the fun filled evening.